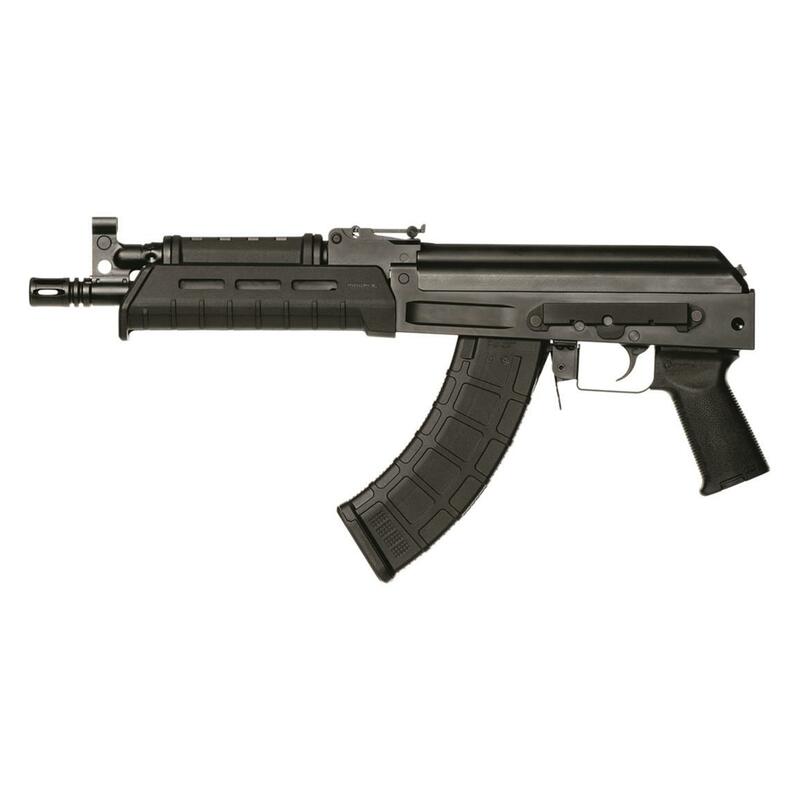 The firepower and reliability of an AK-47 packed into pistol form. The C39v2 AK Pistol shares the same features as the full-size rifle…like the ordnance-grade 4140 steel milled receiver, side rail, and RAK-1 trigger…but in a smaller configuration more well-suited to personal defense or range fun. The 4150 chrome moly steel barrel features concentric 14x1 LH metric threading for a variety of muzzle attachment, and the RAK-1 enhanced trigger breaks clean at 5 lbs., resets quickly, and has very little uptake. Factor in new quick-detach attachment points for a tactical sling, and you're looking at a fine AK Pistol.